As the American population grows we push further into wild places and leave little room for wildlife that calls those places home. Human-wildlife conflicts become more common with animals usually losing when they wander into what is now our habitat. Snakes in particular often get little mercy in these situations. Myths and misunderstanding passed down for generations have given many people an irrational fear of snakes, grossly out of proportion to the threat they pose. Some take advantage of this fear to slaughter these important predators and profit from their unethical and illegal activities. Harmless watersnake, misidentified and slaughtered by Kentucky Snake Slayers. Kentucky Snake Slayers slaughter snakes for sport, meat, and skin products. While they claim to target venomous snakes only, their inability to tell the difference results in death for many harmless snakes too. Fortunately Kentucky protects their native wildlife from slaughter-for-profit. Only five or less individuals of each species may be taken per year (301 KAR 2:081 Section 5), and native wildlife may not be sold or advertised for sale (301 KAR 2:081 Section 2). 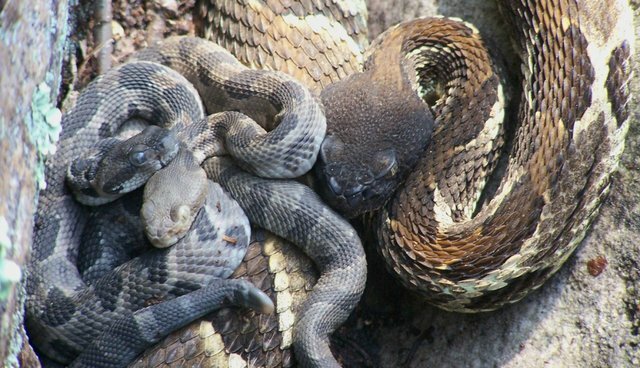 Tell Kentucky Department of Fish and Wildlife Resources to investigate Kentucky Snake Slayers and stop their illegal snake slaughter. It's time for Kentucky Department of Fish and Wildlife Resources to enforce their regulations and protect Kentucky's wildlife. Click here to sign our petition at Change.org and help us shut down Kentucky Snake Slayers.